Looking at the whole Bible with the perspective of its oneness and the fact that the Old and New Testaments come from the same God and explain his one plan for the world and salvation, the continuity of themes from beginning to end becomes clear. 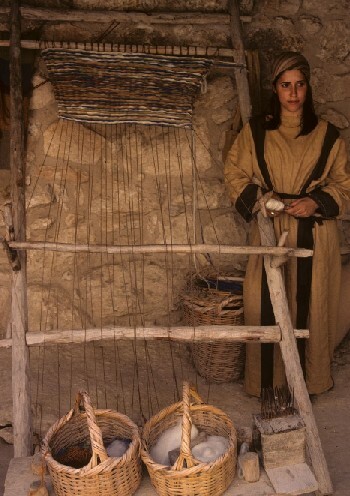 These themes are like the warps of woven fabric, through which are woven the wefts of time and history. These threads will ultimately reveal God's finished plan but even now we can see how they all climax in Yeshua the Messiah, the Image of the invisible God. We will look at Light, Water, Glory, blood and finally, Jesus / Yeshua the Messiah. All it needs is a good concordance and a heart open to the Holy Spirit's teaching. Psalm 56 v13 walking before God in the Light of life. Isaiah 9 v2 Messianic prophecy - "the people walking in darkness have seen a great light. Luke 2 v29-32 Simeon's prophetic words ". . . for my eyes have seen your salvation (Yeshua) . . . a light for revelation to the Gentiles . . and for glory to your people Israel. John 1 v1-5 John's introduction to Jesus (the Word) "The light shines in the darkness, but the darkness has not understood it." Acts 13 v47 Paul "I have made you a light for the Gentiles." Rev 22 v5 "They will not need the light of a lamp or the light of the sun, for the Lord God will give them light." Clearly light is much more than just electromagnetic radiation or photons produced by hot objects like our Sun. 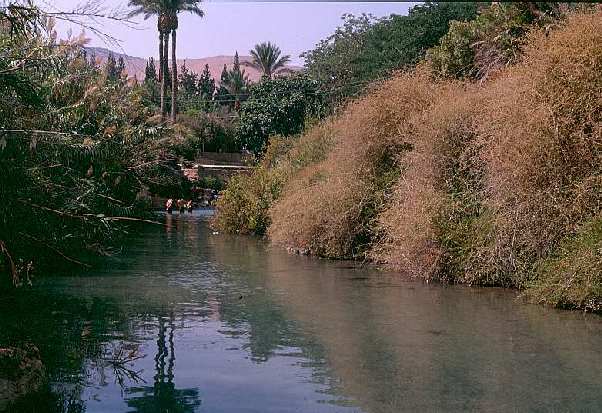 Jeremiah 17 v13 .....have abandoned YHVH, the source of Living water. Revelation 7 v17 The Lamb . . their shepherd; he will lead them to springs of living water. Water is a major theme speaking of God's cleansing and life giving provision for his children. Genesis No mention until Man had fallen. Previously, man had a close relationship with God. Exodus 34 v29 Moses face radiant after spending time with God. Exodus 40 34 The Glory of the LORD filled the tabernacle. Moses could not enter. Ezekiel 43 v4 Prophetic vision of the glory returning to the Temple. John 2 v11 re Jesus' miracles, "He thus revealed his glory". 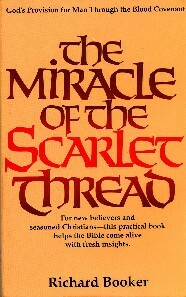 The most important thread running through scripture is that of blood. The blood covenant was and is the most binding form of agreement, and this is how God bound himself to redeem us. In this book Richard Booker traces this thread from God's covenant with Abraham, through the covenant of Moses to the fulfilment through the blood of Yeshua / Jesus. The most important thread is the person who appeared many times through the scriptures. 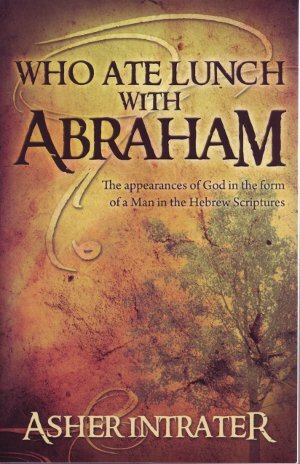 Asher Intrater's book, "WHO ATE LUNCH WITH ABRAHAM" probes the identity of the man who Abraham met. This is often thought to be an unimportant academic question, but it is not. Was he a man, or an angel or himself ? Follow Asher Intrater's research through the scriptures and you will see Yeshua the Messiah revealed in all his glory. The tree of life is mentioned in Genesis 3 and again in Revelation 22. What is the thread that connects these two extremities? It is LIFE. Genesis 3:22 Adonai, God, said, "See, the man has become like one of us, knowing good and evil. Now, to prevent his putting out his hand and taking also from the tree of life, eating, and living forever—"
In Genesis, man sinned by eating from the tree of the knowledge of good and evil and his eyes were opened. But as a consequence, as God had warned, it became certain that they would die. Sure enough, the laws of nature with which we are familiar came into play, causing us all to grow old and die. But notice that this ageing and death could have been prevented by the fruit from the tree of life - had God not barred them from the Garden. But when we are resurrected and restored to God's perfect new earth, we will have access to the tree of life and not age and die. Halleluyah! It is very noticable in the teaching on the Hebrew Bible from AlefBeta, that there are clues to aid our understanding some stories where scripture uses the same expressions to highlight a link to another story, where we would not usually see a connection. Sadly, for those of us who do not read Hebrew, this will not necessarily work in translations of scripture.